Our first talk of the 2018/19 winter period will be on Wednesday November 14th 2018 when we have Hugh Hanmer from the British Trust for Ornithology. Hugh is the leader of the BTO’s Project Owl, so do come along to hear about this amazing group of raptors – and also find out how you can help with Project Owl, which is a major initiative over several years to study our owl populations, their habits and habitats. You’ll also find out more about how GRMG are helping owls in the county. Tickets are limited and you will need to bring an electronic copy (or paper copy, though electronic is preferred) of your ticket on the evening. For this event we have opted for a ‘donation’ style ticketing service allowing you to choose the price of your ticket. We hope that this talk will prove to be a successful fundraiser – the money raised will be divided between GRMG and the BTO specifically for Project Owl. Tickets for our previous talks sell for around £5 per ticket – there’s a basic £5 price to make it easier when buying more than one ticket. Full details and tickets can be found here – we look forward to seeing you there. Our second talk will be ‘Falcons’ with New Naturalist author Richard Sale on January 30th 2019 – full details will be available shortly but please save the date! More details about Project Owl can found here. The beginning of the nesting season always starts with “Raven time”. Ravens are early nesters often having eggs by mid-February. This season has been a mixed affair with some clutches abandoned due to the severe weather, possibly cutting off food supplies rather than affecting the nest itself, several pairs had a second go with some abandoning the second attempt for reasons that are not clear. At least two others succeeded in their second attempts. A number of nests were right on time following the usual pattern, and obviously weathered the storms, which makes trying to attribute weather only to failures difficult. It is tempting to assume the successful nests had food sources unaffected by weather, but it is only supposition and we have no direct evidence for that. Two nests only managed to produce a single youngster. Being a keen birder and ringer when the opportunity to study Little Owls for my MSc thesis presented itself I jumped at the chance. Little Owls are a species exhibiting dramatic population declines of -57% in the U.K since 1994 and have been listed as a species of conservation concern in Europe. As the Little Owl was introduced to the U.K in the 1800s it is classified as an introduced breeder and therefore comparatively receives limited research and conservation attention compared with other species. A number of factors have been associated with the decline of Little Owls. Changes in land management practices, in particular agricultural intensification have led to the destruction of old orchards as well as removal of hedgerows and old growth trees that the owls use for nesting. The use of pesticides has also been suggested to reduce insect availability, a primary food source of the owls. Studies have investigated the habitat and diet of the Little Owl however the majority have focused on European populations and have not investigated the relationship between these two abiotic factors. 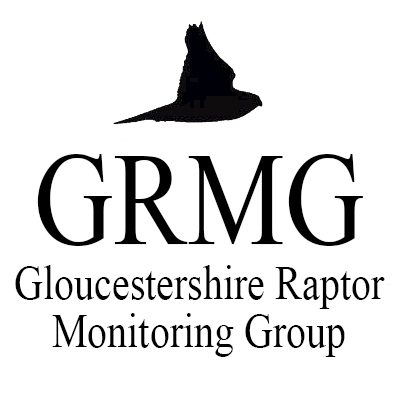 With the amazing enthusiasm of Gloucestershire Raptor Monitoring Group (GRMG) and multiple land owners I was able to conduct habitat surveys around nest sites and collect pellets to analyse habitat and diet. Phase 1 habitat surveys were conducted to classify parcels of land within a Little Owl territory according to vegetation composition. The height of vegetation was also recorded as it has been documented to influence hunting strategy. The remains of beetles and small mammals in pellets were identified to the species level where possible by Linda Losito and Bob Cowley. The data gathered was then combined to examine how habitat influences Little Owl diet. The habitat surveys supported the findings of multiple studies from Europe suggesting that orchards and improved grasslands were the favoured habitat of UK little owls. A preference for short grazed grassland was also observed. However, territories contained a greater area of arable land on average when compared to reports from Europe. Analysis of habitat variation within the study sites revealed the majority of variation between sites could be accounted for by differing areas of improved grassland and arable. Using this information comparison of diet was then conducted between categories of sites defined by their habitat compositions. These categories were; sites dominated by improved grassland, sites with a large area of arable and sites with an intermediate mix of the two. In total beetle remains were identified into 43 categories, the majority of these being species however, in some cases it was only possible to attribute remains to a genus (Table 1). There was no significant difference in either the quantity or number of insect species consumed between these categorisations of site habitat. There was however, a significant correlation between sites with a greater area of arable and increased consumption of small mammals, both in terms of quantity and number of species consumed. The height of vegetation within parcels of habitat was also quantified. When this data was compared with dietary information, a positive correlation was observed between the area of short grassland at a site and the quantity of beetles consumed. These results suggest a heterogeneous habitat dominated by short improved grassland, most probably grazed, alongside arable crops and old growth trees providing cavities for nesting are the most suitable for Little Owl territories. These findings add weight to suggestions that changes in land use could be driving Little Owl population decline. With widespread agricultural intensification heterogeneous landscapes are less common as was previously the case, potentially reducing the availability of optimal nesting sites and suitable hunting grounds. Using the data gathered on habitat preferences in combination with land use data from the Centre for Ecology and Hydrology a model was produced to establish potential locations with suitable habitat for Little Owl nest sites in Gloucestershire. Suitable habitat was defined as areas dominated by improved grassland adjacent to smaller patches of arable. The locations of traditional orchards were also included as these provide excellent nesting opportunities. Areas close to main roads were also excluded, with a variety of exclusion distances being tested. This model was then validated against actual Little Owl sightings (figure 1). As can be seen the greatest concentration of traditional orchards and larger parcels of suitable habitat occur in the West of the county, it is also here that the greatest concentration of sightings occur. The more intensively farmed Cotswolds in the east have fewer orchards and smaller parcels of suitable land as well as fewer sightings of Little Owls. Statistical validation of the map and sightings revealed a correlation between predicted suitable habitat and actual Little Owl sightings. Figure 12 Map of suitable Little Owl habitat within Gloucestershire. Minor roads buffer of 25 m and major roads (A, B and Motorways) buffered at 263.4. Reported Little Owl sightings included for validation of suitable habitat model. Examination of pellets uncovered the alarming discovery of plastic items consumed by Little Owls. Items found ranged from short pieces of plastic binding to clothing tags. These pieces were found in pellets from sites closer to settlements demonstrating the damage our waste has on the environment. A great deal of thanks is expressed to all those who assisted this project and the hope is that information gathered can assist the great work being undertaken by GRMG in conserving Little Owls in Gloucestershire. The air is heavy and still. It needs a thunderstorm. We pass by some old derelict farmhouse outbuildings and cut across two fields going over barely negotiable stiles. The track narrows and Coppett Hill ridge closes hard against the river Wye at this point. A herd of deer make their presence felt and scrabble up the wooded hillside as we approach. The sun is coming up, mist on the slow moving river and all is perfectly still. It is 1984 but could be 1784 here on this enchanted morning – with no sign of modern civilisation. As we move forward towards the impressive limestone Coldwell Cliffs the meadow widens and the oppressive becomes expansive. Here the Wye runs alongside the cliffs in a wide U shaped bend. It is now that Yat Rock and the cliffs loom high on the horizon, dominant, spectacular, powerful and majestic. And now ‘kek kek kek kek kek‘ a guttural scream rents the air. The hairs stand out on the back of my neck. A shiver runs down my spine. An adult female Peregrine has launched from high on the face and attacks a much bigger Buzzard mercilessly. She repeatedly stoops and throws up, stoops and throws up, striking the hapless raptor with feathers a-flying. This wild landscape is enhanced by the presence of the Peregrine. She adds a living dimension and makes these cliffs more wild, more spectacular, more menacing. I watched her with the tiercel and her four young till sundown and that day changed my life. I have been unashamedly in thrall to this unmatchable, wonderful raptor these last 30 years. the breath-taking flying manoeuvres that these perfectly adapted falcons are capable of. After a few years behaviour patterns become discernible. One Peregrine’s habits and psychology can be discerned from another. Hunting technique can be rationalised and distinguished one bird from another. A change of resident territory owner can be inferred from changes in behaviour, habits, preferred perching locations as well as the physical characteristics of the bird itself. My collated records now show that over the past 36 years five separate pairings have produced 91 young at an average rate of 2.53 per year. They have used 6 different eyrie sites on 2 separate rock faces over this period. In 1983 the eyrie was robbed and in 1984 the RSPB/ Forestry Commission started the Peregrine project. Since then there have been no losses to robbery. In 1985 the sodden dead chicks were seen to be eaten by the adult. The female resident from 1982 – 1992 suffered a badly injured foot in 1985 which she carried for the rest of her life. It did not, however, appear to inhibit her hunting prowess. In 1989 a Golden Eagle was observed from the viewpoint. Strange but true. In 1993, 2005 and 2015 Barn Owls nested, apparently successfully, within 20 metres of the eyrie! Since around 2005 we have also witnessed an increasing amount of Goshawk sightings from the viewpoint and this can make for some interesting interactions. Even now, after thousands of hours of observation of many thousands of flights and hundreds of successful hunts, the thrill of watching Peregrines has never waned. It is always just like the first sighting. Captivating. Awe inspiring. Magical.